How can inflammation cause dry eyes and Meibomian Gland Dysfunction (MGD)? Inflammation in and around the eyelids and skin can affect the health and function of the meibomian glands. Vascular abnormalities tend to develop in the presence of inflammation. Abnormal vessels begin releasing inflammatory agents which, when occuring near/around the eyes, spreads to the eyelids. This often results in inflammation of the eyelids and triggers ocular complications like eyelid redness and poor meibomian gland function. Intense Pulsed Light is a non-invasive and non-laser energy treatment for dry eyes and meibomian gland dysfunction that utilizes pulses of light to liquefy and release hardened oil (meibum) from meibomian glands. IPL also reduces abnormal vascularization and inflammation of the eyelids, resulting in reduced eyelid redness and stimulating healthy meibomian gland function. IPL has been FDA-approved for more than 15 years to help treat rosacea and remove superficial skin lesions. How does IPL help treat dry eye and the root cause of MGD? The broad-based light released by IPL is mostly within the visible spectrum. This light is filtered to allow only select wavelengths to pass into the tissue. The IPL light filter for MGD targets oxyhemoglobin, a molecule present within the cells of abnormal vessels. 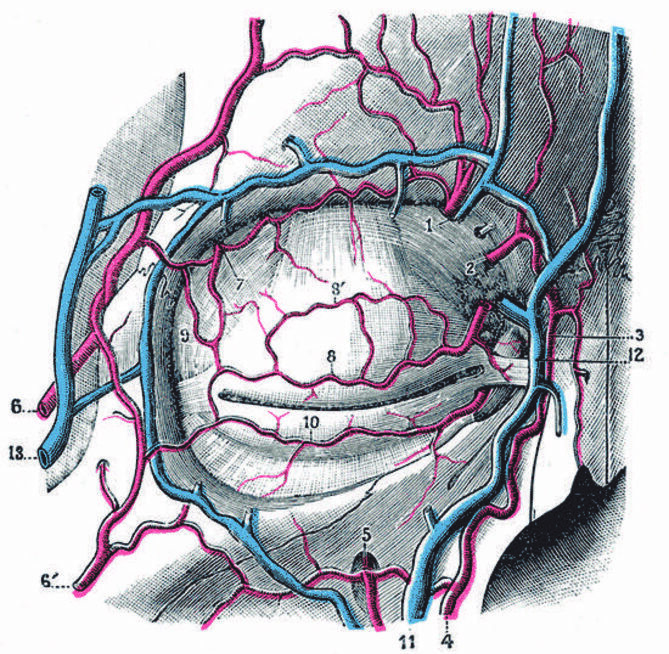 By selectively absorbing the wavelengths of filtered light, abnormal blood vessels near the eyelids may be coagulated. This reduces the amount of leaky inflammatory mediators to the ocular surface and meibomian glands. IPL decreases the bacterial load on the skin (one of the reasons it helps with acne). The smooth glass surface of the IPL hand piece is placed directly over the treatment area and light pulses are applied. You may experience a stinging sensation like a rubber band snapping on your skin. 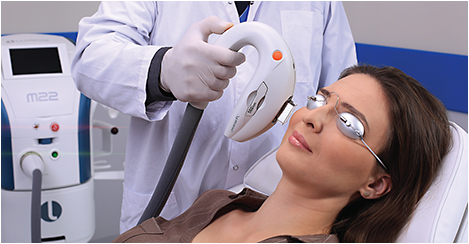 Each IPL treatment takes approximately 10-15 minutes to complete. If indicated, meibomian gland expression performed after IPL will take approximately 15 minutes. Although many people notice improvement in dry eye symptoms after their second treatment, it is recommend to have an initial series of four IPL treatments (performed once every 2 weeks to help with long-term success in treating both chronic dry eye disease and MGD). For best results, our doctors recommend combining your IPL treatment with LipiFlow to remove stagnant meibum and restore function to the meibomian glands. After the initial series of IPL treatments, most people will need only occasional maintenance treatments, depending on the severity of their dry eye condition. Following the procedure you may experience temporary redness, temporary swelling, and temporary lightening or darkening of the skin in the treated area, as well as a period of temporary dryness while the glands work to produce healthy oils again. If you suffer from dry or itchy eyes, call our office at (713) 838-2020 to schedule a consultation today!